The Schwalbe Marathon Racer is a variant on the famous Marathon lineage that is biased towards speed (although in truth, you would never race on one!). More rugged than Schwalbe’s Kojak slick, but also built to a higher standard, this should be a very interesting tyre if you’re looking for a capable all-rounder. Like many of Schwalbe’s tyres, all sorts of wheel sizes are catered to, from 16″ right through to 700C. The default width is 1.5″ / 40mm, although 26×1.75 and 700×30/35mm options are available if you’d like to go fatter or thinner! Compared to other tyres in this class, weight is respectable – 375g for folding 700x35c (vs 550g for a 32mm Continental Contact II or 440g for a 35mm folding Panaracer Pasela TG). For all that it comes as OEM on some models of bike, the Schwalbe Marathon Racer isn’t as readily available online as some other models, whether in Evo or Performance guises. Obviously narrower tyres can come in lighter – Schwalbe’s Ultremo racer weighs just over 190g. However, as we’ve seen the Schwalbe Marathon Racer is competitive within its own niche. The 40mm Marathon Racer even has 30% more air volume than the 35mm Kojak – this makes a real difference when you’re hitting obstacles (potholes, kerbs, rough ground). Standard disclaimer: for most of us, one of the significant disadvantages of a wide tyre (the aerodynamic penalty of pushing aside an extra wedge of air) doesn’t apply, unless you’re time trialling and probably reading the wrong sort of review.. The Marathon Racer has in common with other wide tyres the floating sensation that makes them so comfortable and capable – but truth be told, rattling around on a rock hard 23mm tyre feels faster regardless of what the speedo says! While initially fitting the Marathon Racers, I was completely certain that I’d find them slower than my old Kojaks, but if truth be told I find it difficult to tell them apart on the open road. 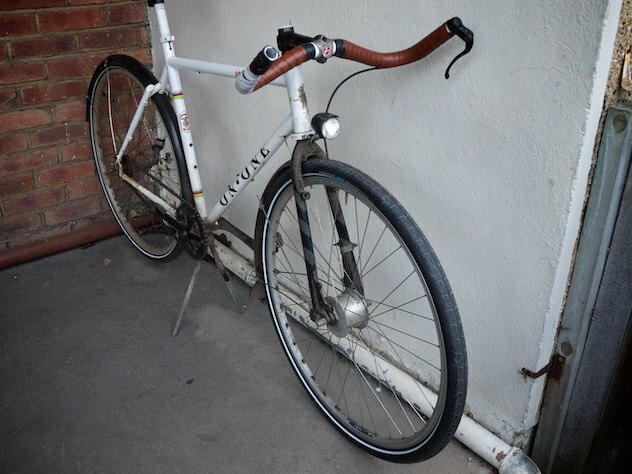 Make no mistake – the Kojak feels more supple and in a lab I have no doubt it would come out ahead, but the Marathon Racer is fast enough that I can come close to my Strava record times on urban segments. Surprising, but there you go. Because the Marathon Racer is now part of the top-flight Evo tier of Schwalbe tyres, it benefits from some innovations that are not present on the Kojak (improved carcass, sidewalls, and tread compound) which might account for this..
I’m running the 700x35mm tyre on the rear of my commuter and the 700x40mm (marked 38c) on the front. Compared with the 23mm tyres I used to commute on years ago, these are worlds away in terms of their ability to eat potholes, kerbs, tram lines, small animals and general debris. At relatively high pressures they feel direct and responsive, but you can safely let some air out to give a plush and very comfortable ride. I’d say these rate equally with Kojaks in the comfort stakes *at the same width* – the 40mm Schwalbe Marathon Racer has 30% more air than the 35mm Kojak however, and is certainly happier on rough surfaces like Edinburgh cobbles! (However, let’s not forget that compared with 23mm racing tyres, this is like arguing which of two sofas is more comfortable, compared with a pile of straw). The Marathon Racer is intended for on-road use and has a cosmetic tread only. I’ve ridden on dirt and grass on these and also on complete slicks, and if pressed I might admit the Racers are a little better, but please don’t buy these if unsealed surfaces are any kind of priority. There are far more suitable tyres out there! Like Kojaks, the Marathon Racer allows a more positive connection with the road due to their width and lower pressure than does a narrow racing slick. However, it additionally benefits from the RoadStar Triple Compound which optimises grip (and wear) by intelligently choosing an appropriate type of rubber for different areas of the tyre’s cross-section – in a nutshell, hard wearing in the centre and tacky on the edges for cornering performance. 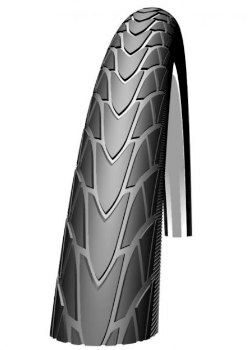 The Schwalbe Marathon Racer features the top-level HD Speed Guard high density vectran breaker strip, a considerably more advanced level of puncture protection than the Kojak’s Raceguard and one it shares with tyres like the Ultremo ZX or Marathon Supreme, both of which have a good reputation in the puncture stakes. Tread thickness is directly linked to rolling resistance, so to reduce the latter, the Marathon Racer also has less of the former! ICE Adventure FS from Laid-Back-Bikes: great terrain for Marathon Racers! Like most light road tyres, I’m happy to take the Marathon Racer on hardpack or well-trodden dirt paths (like the Union Canal towpath), but I wouldn’t use it to ride on green roads or anything more adventurous where a stray rock could trash the sidewall. It’s not too bad, with the 700×35 Marathon Racer losing out to a 700×28 Durano by around 100g, but as noted above, it’s significantly lighter than some competing models. I wouldn’t say that the Schwalbe Marathon Racers are a favourite of mine, although I still have them fitted to my commuter and am riding on them for many miles each day. To me, they fall between two stools: if you want a wide fast tyre, go and buy yourself a Kojak and stop worrying. If you want a tyre for all round riding and speed is not a priority, go and buy yourself a Marathon Greenguard and stop worrying. In fairness, the Marathon Racer is a significant step up from the regular Marathon in terms of speed, so if you really don’t want a complete slick, these are probably the next best thing. They do benefit from a great quality carcass and puncture protection, and do offer significantly more air volume, which shouldn’t be underestimated (plus, of course, the reflective sidewalls). All in all, a smart ‘jack of all trades’ with a slant towards speed. Get yours now. Hey Dave. 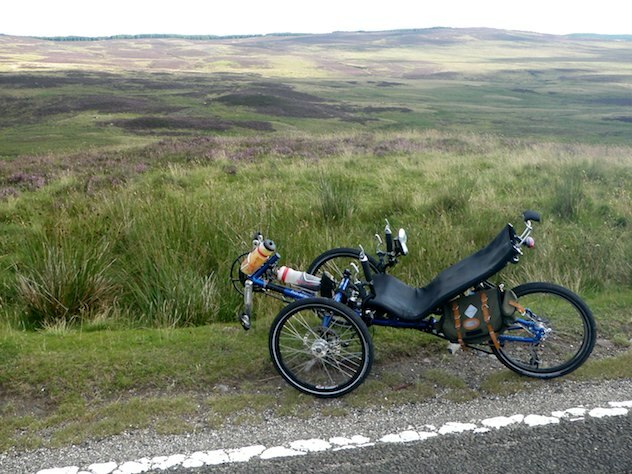 I’m thinking about trying the 26″ Kojak (probably the 1.35s) on my tandem (upright) as an alternative to the Marathon Racers (26×1.75″) I currently have. Will I notice a difference do you think? I’m looking for a faster tyre than the Marathon, but I’m not sure if a 1.35 isn’t going to be a bit uncomfortable; not sure if the 2″ will fit under the mudguards. 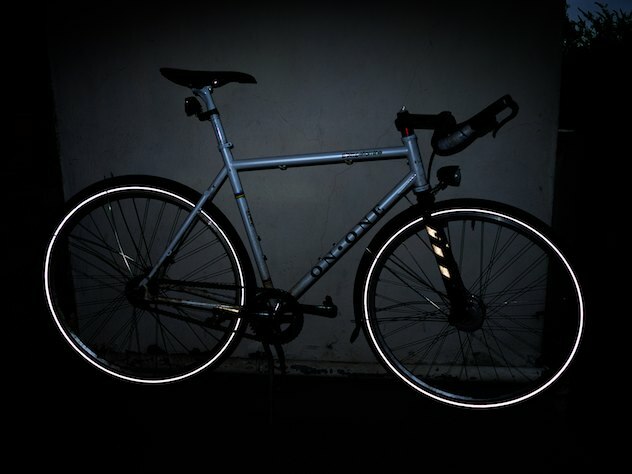 The Kojak would be a good choice – your other option is the Continental Sport Contact – 26″ x 1.6″ or 1.3″ both available. (For other readers – it’s also available in 700c). That’s a nice tyre, although only available in wire bead. I think the Kojak would be faster in equivalent widths, but there isn’t a 1.6″ Kojak so if the 1.35 is too narrow it could be worth a look. 700c Kojaks seem to be out everywhere, but fortunately for you, 559 Kojaks are still readily available. OK; I think I’m convinced enough to give the Kojaks a go. 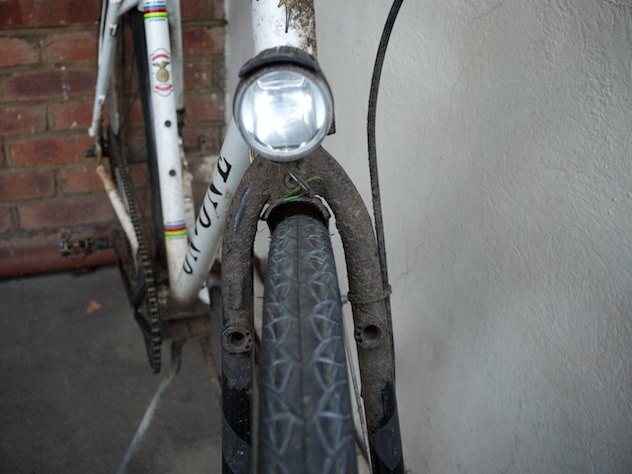 I just need to see whether the 2″ version can be made to work with the mudguards. Lol, that is pretty entertaining. Thanks for the heads up!